Sugar refinery. 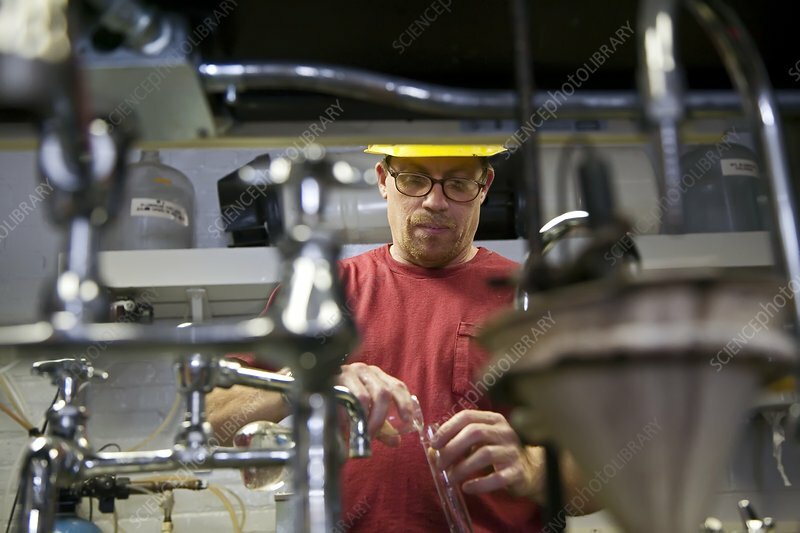 Worker in a lab checking the sugar during the refining process. Photographed in Sebewaing, Michigan, USA.